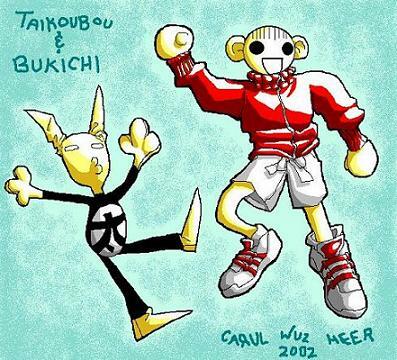 Comments: It's Taikoubou and Bukichi from Hoshin Engi in their weird forms from the manga; Ryu Fujisaki draws them like that whenever something strange is happening. This is the best "CG" I can do at the moment. ;__; I can't use Photoshop properly yet. I dun have one of them spiffy drawing boards either.